We recently uploaded a new version of FX Chem (3.003.2) which introduces a radical new feature – literally. Now, if you type a radical with a free electron, something like OH. 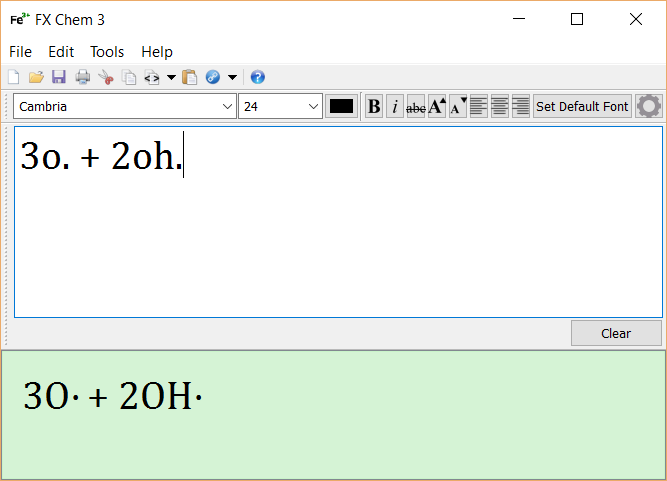 (with the full stop) FX Chem will automatically convert the full stop to a raised dot. The new version can be downloaded now by holders of licenses for FX Chem 3 and any current FX SciencePack subscriber.